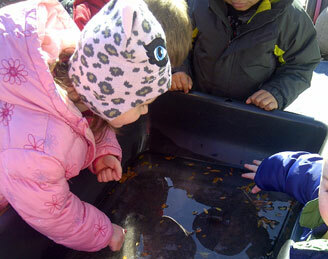 Shari Determan, Director and owner of Wee School, designed this beautiful Nature Explore Classroom. 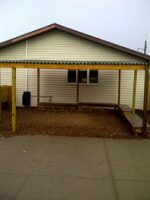 With a clear vision and the help of handyman husband, Tim and nature lover and landscape brother, Mike Nelson, this space quickly evolved over the last year. Mike made sure playground safety rules applied and that nothing was taken away from the beauty and nature of the outdoors. Donated and purchased materials were gathered from the local community with work done by local people also. The Determan’s wanted to give back to the wonderful community they live in. Surrounded by bamboo fencing, designated areas were designed with each area like its own separate space or learning center. 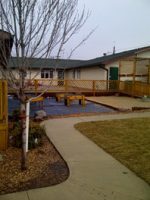 The surface areas range from concrete, wood chips, grass, logs, sand, and rocks. Wooden area signs from Nature Explore are found throughout the classroom. Making sure that each area was labeled, the children became quickly familiar with the opportunities available. Laminated and framed pictures of the children doing activities in the different areas will be added to ensure that children who are visual learners can see some of the things that can happen in the specific area. 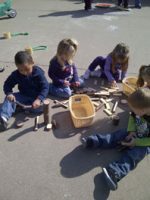 Providing different activities was found to cut down tremendously on conflicts and the children are able to focus on the learning at hand. Friends, families and the community donated music equipment, pinecones, rocks, and other items. Colorful scarves and ribbons flow in the air. 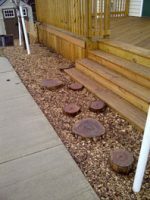 Access to a large number of newly felled trees provided benches, balance beams, tree cookies, stumps to walk on, borders to separate areas, and items for the Messy Materials Area. As Wee School learns more about Nature Explore and the uses for the outdoor classroom they will incorporate the interests of teachers and staff to inspire learning. Materials will be supplied for the children that they are especially interested in. There are also plans to research recycling and see what ways those items may be used in the outdoor classroom. Through the Entry Feature, a ramp guides you down to quieter activity areas. The louder areas are also grouped together and each area has its own storage space. 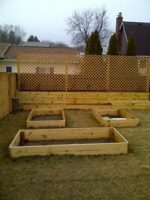 The Garden Area is divided into separate boxes so that flowers, vegetables, herbs, and fruits can be grown. Using the food grown by the children, healthy eating can be taught and there will be homegrown, healthy foods to try that they may normally not choose. 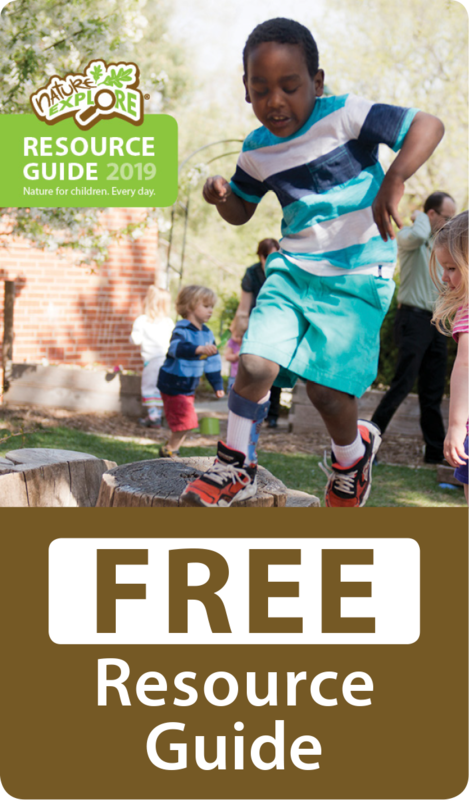 Seeing the colors of the seasons is visually pleasing to adults and children alike so care was taken to fill the outdoor classroom with trees and plants that will be beautiful throughout all seasons.